Task Organization Managment System - T.O.M. T.O.M. 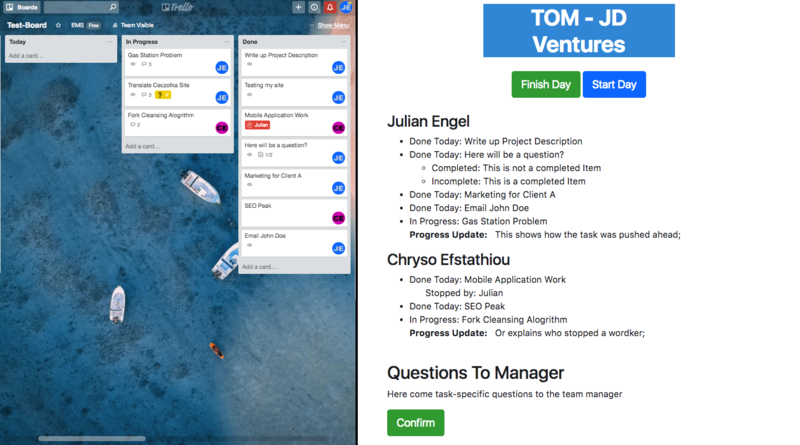 is a task manager that allows team task collaboration through trello, extending it's functionality with detailed analytics, daily summaries, email updates as well as work and progress archives. Demo On Request, email Julian.